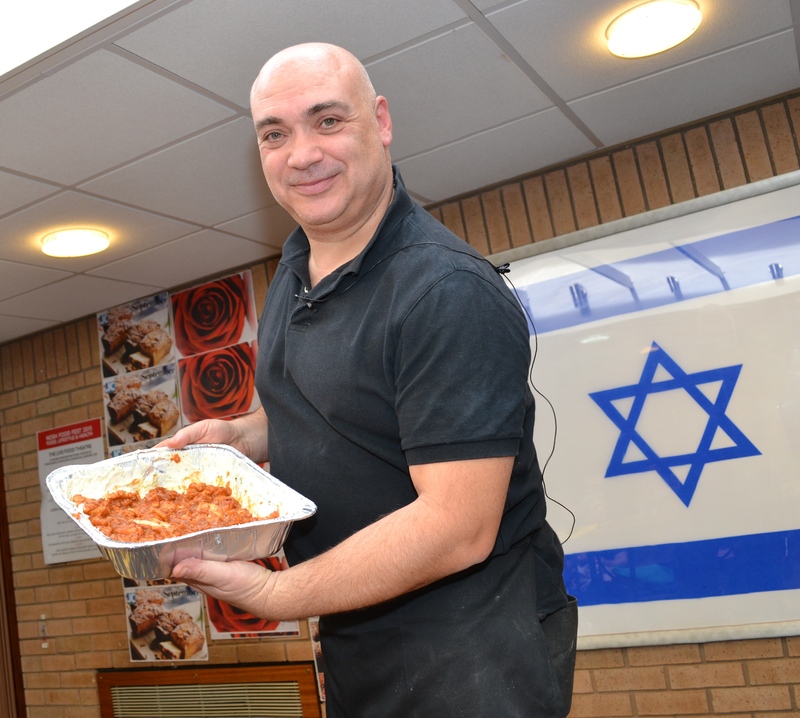 The Big Jewish Nosh Fest is a lively interactive foodie celebration enjoyed by both Jewish and wider communities in the north of England. This colourful Festival celebrates Jewish recipes worldwide with food and drink, tastings, live cooking demonstrations and all that’s new and interesting. Mix about 2 minutes and then add 1 tbs of table salt- then knead the dough for 7 more minutes. Prove the dough until it doubles in size. Prepare 20 balls (weigh each one to the same size) – 50 gr. for each ball should be enough. Arrange them as a bunch of grapes- 1 at the bottom, 2 on top of it, then 3, then 4, then 5. Make a leaf from the dough by the shape of your hand, and some tendrils for decoration. More bread/challah can be made from the rest of the dough. 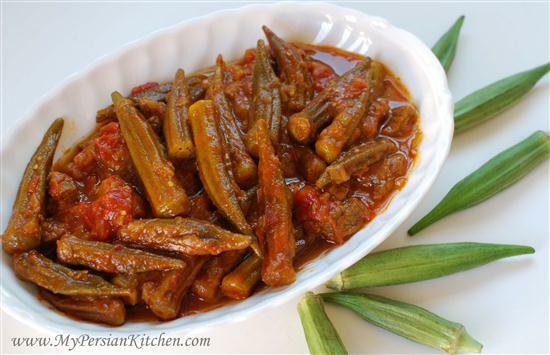 A lot of people have never tasted Okra (or Lady’s finger). Not because there is anything wrong with it, but because most people don’t know how to cook it. To me Okra is a funky looking veggie, and this stew is exotic-looking but also very easy to make! Then afterwards lay the frozen Okra gently on the top of the stew in one layer. 1 table spoon chopped fresh parsley. To make the filling, heat half the oil in a frying pan. Cook onions until soft and golden brown. Remove from pan and set aside. 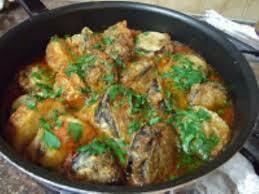 2.Take a carrier bag and put 2 table spoons of seasoned flour ,salt ,pepper and 1 and a half table spoons of paprika. 3. Place the strips of chicken into the bag , hold the bag closed and coat the chicken in combined paprika and seasoned flour. 4.Heat remaining oil in the pan. Cook the chicken for 4-5 mins.) return the onions to the pan, stir in combined purée wine and stock. 5.Bring to the boil, stirring constantly , then reduce the heat and simmer covered for 7-8 mins. 6. Remove from the heat and stir in the yogurt. Put the mince into a bowl. Foods process the onions, basil, dill, coriander, carrots, salt, pepper, cumin and paprika. Add this mix to the meat. Mix well with the meat and add remaining spices for taste. Add an egg and a small amount of matzo meal to bind the mixture. Cut potatoes into thick scallops three quarters of the way down (without cutting right through to the bottom) so that the potato fans out. Stuff the meat mixture between the potato scallops. Roll the potato in flour, then egg and flour again. Fry with cooking oil until sealed and golden brown. (You can also stuff courgettes by taking out the inside of a courgette). For the sauce, mix chicken and beef stock with a tin of chopped tomatoes, onions, spring onions,sliced fresh tomatoes and garlic. Add cumin, paprika salt and pepper and the spinach and broccoli. Transfer the fried mafrum to the sauce and put in the oven for one hour. If you’d like to cook the aubergines traditionally, wrap them in tin foil and place directly on the open onto a gas flame/barbecue (10 mins – turn every so often) otherwise place on a baking tray until soft and steamy (be careful, the aubergine will be very hot!). Once cooked, dispose of the tin foil and place on a serving dish. Cut of the ends and cut the aubergine down the middle scoring the pulp of each half to make easy lift bites. Add small amount of Tehini to each half. The aubergine can also be served with a small amount of sea salt and olive oil . A traditional way of eating the aubergine is to add the tahini salad straight on to the aubergine. The cooked aubergine pulp and final tehini mix can be added together in a bowl to make a aubergine/tahini dip and can be refrigerated and used later. 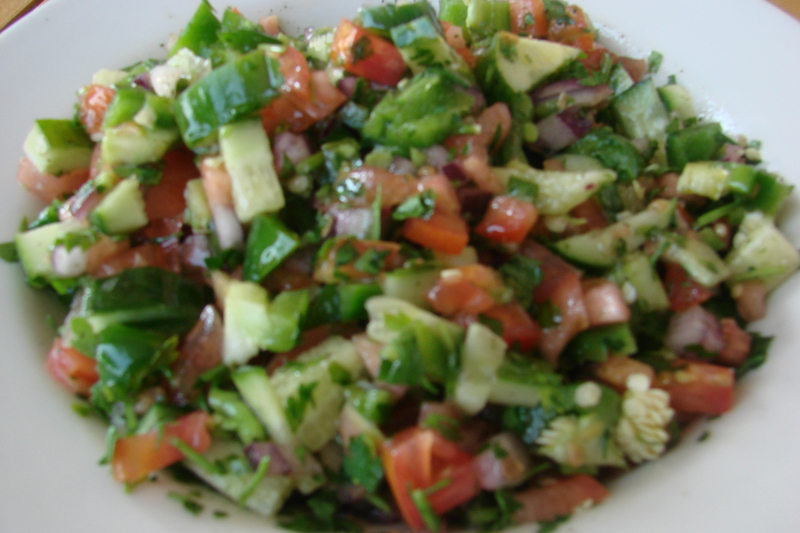 Chop salad and parsley into small cubes/pieces. Put in mixing bowl. Add pinch of salt and black pepper. Drizzle small amount of olive all and squeeze lemon into bowl just before serving and mix. Crush or finely chop 2 cloves of garlic. Add 4 table spoons of raw Tehini. Squeeze 2 large lemons into bowl and add small amount of water. Add half a teaspoon of salt, chopped parsley/coriander to your liking and stir well. This Tehini mix can also be used as a lovely sauce for salad if more water/lemon juice is added.